Are you just getting started in poker? Is your head spinning yet from the seemingly endless amount of information out there that you supposedly "need to know" to be successful? If so I can't blame you. It seems like there is some new math theory or software program that comes into fashion on a near weekly basis these days. And then there are the countless books, strategy websites, strategy forums, video training sites, video courses, coaches, youtube channels, podcasts and twitch channels to choose from as well. So let me just cut through all of the crap here for you. 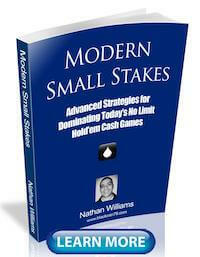 I have been beating the micro stakes online cash games for 10+ years now with some of the highest winrates in history. I have also authored two of the most popular books ever written on these games and coached hundreds more to success, some of whom are even professionals now living here in Thailand and around the world. 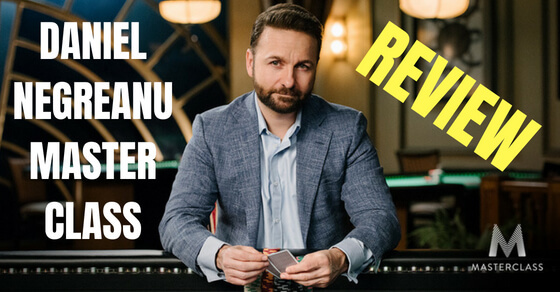 In this article I am going to tell you exactly what you need to do in order to launch a successful poker career at the lower stakes. Let's get started! I gotta be honest, I am extremely selective about who I actually listen to when it comes to poker advice these days. It is really just a handful of online pros who I have known personally for many years. And the biggest reason why is because I know for a fact that they are real grinders and true professionals. They have played millions and millions of hands of poker like me. They know what it is like to grind a 12 hour session, get kicked in the teeth again and again, and then wake up the next day and do it all over again. Real grinders have seen the absolute worst variance that this game can offer. Soul crushing downswings that can sometimes last for months that would bury 99% of other poker players. And through all of this they have they not only survived but come out significantly ahead as well. Therefore, I know that they "get this game" on a deeper level. I actually interviewed two of them recently on my website here and here. By contrast, most of the free poker "advice" that you will find on the internet these days (and sometimes even the paid advice as well) comes from people who frankly have no clue what it is like to actually grind. I look them up sometimes and find out that their entire poker career spans the length of something like 200k hands. To put this in perspective, there were a few occasions in the past during my heaviest grinding days where I played more hands than this in a single month! But even more important is the fact that 200k hands is not a big enough sample size to get past routine variance. In other words, their entire "winning" poker career could be a complete fluke. I came across some stats recently that even a decent winning player (winrate of 2.5bb/100) has almost a 10% chance of showing a loss over 200k hands. And a marginal winner (winrate of 1.5bb/100) will show a loss over this sample an astonishing 21% of the time! This is the real nature of variance in poker that I talk about endlessly on this blog. The long run is much, much longer than most people imagine. Poker is the exact opposite of a "get rich quick" scheme. Instead it requires incredible patience, sacrifice and dedication. I don't say all this to scare you. I say all this to be real with you because I feel that very few of the so called "experts" out there have even played enough hands to understand this themselves. The bottom line is that you can look at anybody who is successful in this game, live or online, and you will find one common trait, they have insane amounts of work ethic. It seems like they are always at the tables playing! If you want to succeed in poker in a big way, then you need to be prepared to roll up your sleeves and go to work. It won't be easy and sometimes the results won't come for a long, long time. The next thing that you need in order to grind all of those long hours at the tables is a good poker setup. What is a good poker setup you might ask? Well, it doesn't have to be anything fancy. Several years ago before I took off to Thailand and to travel the world (follow me on Instagram for more on that), I used to have a powerful gaming desktop with dual 21" monitors in Canada. I have since gone laptop only for the last 4 years. Most of the time I used a very high spec (i7, 8gig ram etc.) 15" HP. I recently traded that in for a much more travel friendly 13" MacBook Air. But honestly you don't need any kind of high spec machine at all to play online poker. Any sort of computer that was made in the last 5 or 10 years will likely do the job. You only need to invest in an expensive desktop or laptop if you do a lot of gaming or video editing on the side. Or you are in front of one all day like me and just need to have the best. The bottom line is that online poker itself does not require a lot of resources. Don't go out spending thousands on a kickass rig if all you plan to do is surf the net and play a little poker on the side. The most important part of a good setup for me is having a good chair for those long hours at the tables. So anytime that I have decided to stay put for a few months I will usually go out and buy the most expensive office chair I can find and then sell it when I leave. A good mouse is also necessary. Relying on a trackpad during long sessions is going to probably end up causing some serious strain on your wrist in the long run. As a bit of a "pro-tip" I would advise against buying a really expensive fancy mouse. The reason why is because a few of my past mice have been known to go airborne or get smashed into many pieces during a particularly bad run of cards. It doesn't feel so bad when it is just some cheap $20 Logitech mouse. My advice for a poker setup, like with nearly everything else in this article, is that less is more and simplicity is key. Any kind of modern computer will do the job. Invest big in the chair. I talk about table selection endlessly on this blog because this is how you beat the game of poker, by playing against bad players. Also, as the infographic above correctly points out, if you want to lower your variance (natural ups and downs of the game), then you need to increase your winrate. You don't increase your winrate by trying to outwit a bunch of other strong, solid regulars. You increase your winrate by consistently playing in soft poker games against recreational players, who are much worse than you, and make tons of huge fundamental mistakes at the poker tables. If you want to grind it out all day in the reg-infested Zoom tables on Pokerstars for instance be my guest. I don't care how much of a poker genius are, your opponents simply aren't making enough mistakes for you to ever create a big winrate. There are a lot of other much easier poker rooms out there that have much softer games though. You want to look for people who play too many hands (VPIP of 40+), call too much, limp etc. You also want to look for weak regs who play straightforward and won't put you in difficult spots. I don't think I have ever seen a live poker table at the lower stakes that didn't include at least one big fish and tons of weak regulars so that isn't even worth discussing. Literally ANY low stakes live table is worth playing at. If you truly have no monetary goals in poker, then by all means go sit in games full of tough pros. Your learning curve will be much faster. There is no question about that. 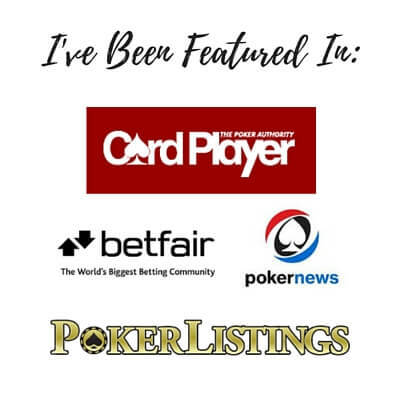 In fact, if your goal is to be the very best heads up player in the world, then I would definitely sit in tough lineups and lose lots of money to strong players in order to learn faster. But if you're like me, I play this game to make consistent money now, not to flex my ego or to try and earn the adoration of a bunch of nerds on the internet. This is why I only play poker against people who are considerably worse than me. Once you start playing in soft games the only thing that you really need to do in order to win big is to play a tight and aggressive ABC style of poker. Raise with your good hands and then bet them big and often. And for the love of god stop trying to bluff a bunch of calling stations! That's pretty much all there is to it...seriously. 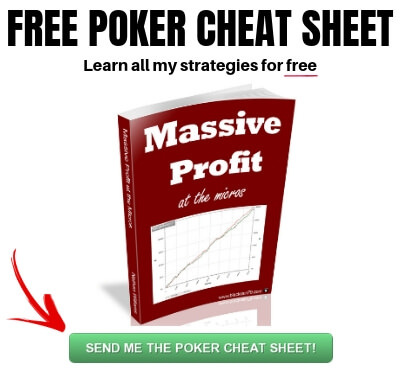 Ok if you want a bit more detailed explanation of what "Boring ABC TAG poker" means then go download my free strategy guide Massive Profit at the Micros here. But for some people, this is literally impossible for them to believe. They feel an overwhelming urge to try and emulate what they saw Daniel Negreanu do on TV at a million dollar final table in their $10 game on the internet. Go ahead, but it probably won't end well for you. Patience and simplicity are the biggest keys to success at the lower stakes whether live or online. You don't beat a bunch of beginners and drunk recreational players with your 10th level thinking and range merging GTO bluffs. I actually often just pretend that I am playing against a bunch of kids when I play these games. Would you try to teach a 7 year old College level algebra? Probably not right? If you fancy yourself more of an "action junkie," have trouble controlling your emotions, and cringe at the idea of self discipline, then poker might not be the right game for you. Where most micro stakes players struggle the most these days is not on the technical side of the game but on the mental side of it. Honestly, nearly all of them are complete fish in this area. One of my favorite things to do in fact is to simply tilt the heck out of them. Once I get on the left of a low stakes reg I will just start raising the crap out of them or floating them every single hand. They will often quickly lose their cool and start playing back at me based on pure emotion. Then it is just easy money. 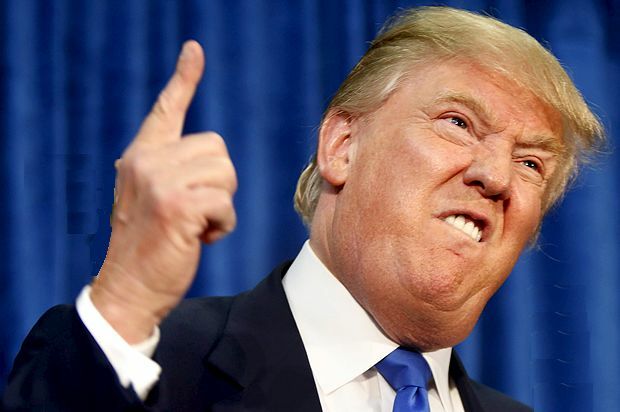 How I picture a micro stakes reg when I 3Bet him for the 4th time in a row. And also, as alluded to earlier, many players at the micros will lose their minds the second they hit a real downswing and just become complete spew machines at the tables. This lack of emotional control is actually the #1 reason why they can't get to mid and high stakes. There is a myth out there that high stakes players are far superior technically. This is not really true. The technical gap is much smaller than you might think. Where high stakes players excel way beyond small stakes players is in their ability to control their emotions at the poker tables when things don't go their way or somebody is trying to get under their skin. Now unfortunately the amount of quality information out there about how to improve your emotional control at the tables is extremely lacking. And this is because so much of it is rooted in psychology and specific to the individual person. Also, improving things like your tilt control, knowing when to leave the tables, and keeping your cool when somebody is trying to tilt you is something that you don't learn overnight. It is a process that takes time. There are several lifestyle adjustments that you can make. I have talked about the importance of taking care of your mind and body several times on this blog before for instance. Many poker players (even pros) still eat terrible food, sleep awful hours and never exercise. This is extremely negative EV for your life in general, let alone your ability to destress and manage your emotions better at the poker tables. 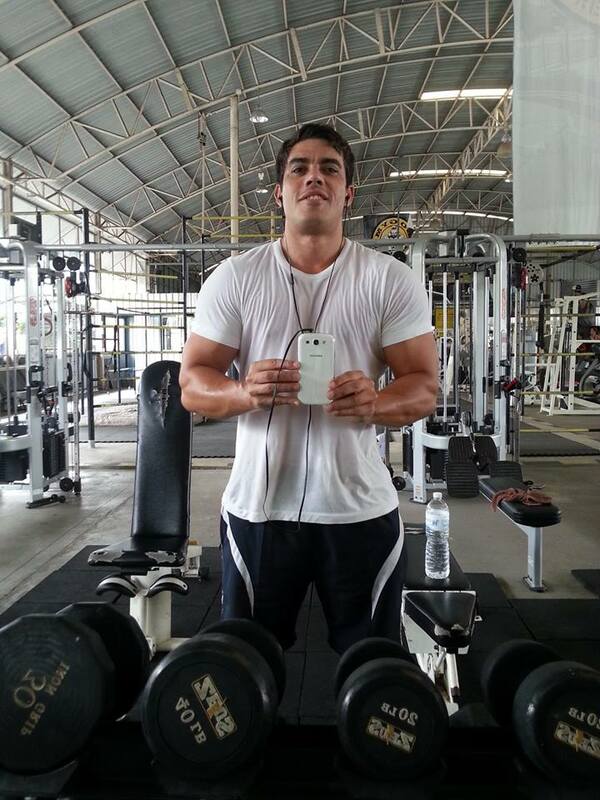 I personally swear by the gym. I know many other professional poker players here who feel the same. Lifting a bunch of heavy weights for an hour a few times a week does wonders for my stress levels, confidence, strength, physical experience and on and on. Cardio, sports or hiking are great too. Just get out in the sunshine and do something! You can also try meditation, yoga, visualization, breathing strategies and a whole host of other ideas at the tables. And I actually interviewed the #1 mental game coach in the world a little while back right here on my blog. You might want to check that out too. But in the end I think that experience is simply more important than anything. You can study all the advanced technical theory you want and eat carrots and run 5 miles every day. The only way to really learn how to handle this crazy game is through countless hours of painstaking trial and error at the poker tables. At a certain point you will learn to just let go and relax a little bit more. It is just another bad beat, cooler, downswing. You've seen this all before and endured much worse. Yawn, next hand. Another thing that you need to do in order to launch your successful low stakes poker career is to keep track of your results. Many people do not have accurate records of their poker results. This is totally crazy. And the old "I'm about break even" or a "I'm up a little bit" is simply not a good enough answer if you take this game seriously. Precise results are what is needed. If you play online then the simple answer is to just use a program like Pokertracker 4 and import all of your hands as you play them. You can use the built in date filters to get your results for any time period in a matter of seconds. 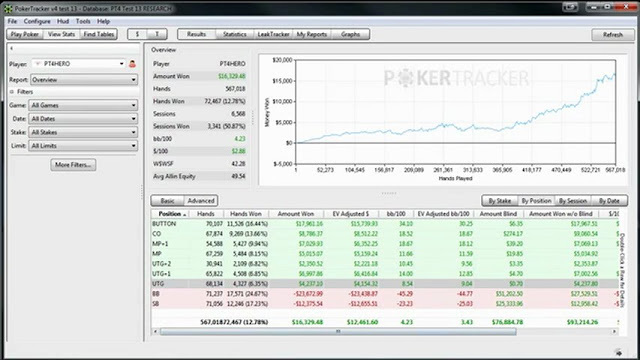 Pokertracker is the ONLY must have piece of software for anyone who is serious about online poker. If you play live then it is a little bit more complicated. But there are several free and paid apps that you can install on your phone to help you keep track of your winnings. Here is one for iOS and here is one for Android. You can also set up a simple little spreadsheet in Excel (or Numbers) and keep track of your results from there. You just have to make sure that you diligently enter the results after every session. And finally, if you are against any kind of fancy new technology and you are reading this blog post right now on your Commodore 64, then a good old fashioned pen and paper will still do the trick as well! Whatever you do, just make sure that you start keeping accurate records of your poker results from now on. Because if you don't know where you actually stand what is the point in even playing the game? 7. Have the Right Bankroll to Play! In an age when 20 buyin downswings at the lower stakes are completely standard (see the infographic above once again), bankroll management is something that you need to take seriously. I often suggest a minimum of 30 buyins these days but 40 might be better in many cases. What does this actually mean? 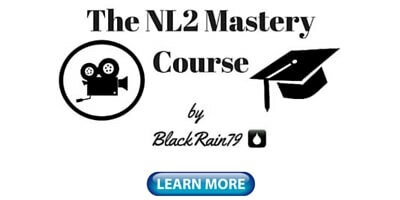 It means that if you play the lowest stakes game online, NL2, which has a max buyin of $2, that you have 40 times this, or $80, in your bankroll. Now if you are not a winning poker player, then there is no bankroll management strategy on planet earth that can help you. But if you are able to turn even a very small winrate at your current limit, then you should make sure that you are always properly rolled. And you should move up when you have 40 buyins for the next limit. However, should you hit the killer downswing, you should also move down long before you ever lose 20 or 30 buyins. Often the very best thing that you can do during a bad downswing is to simply lower the stakes. 30 buyins for each limit, as the author of this infographic suggests, is fine as well. The crucial part are the numbers in red. You must move down if you fall to 25 buyins. If things do not go well at first (which will be inevitable on some occasions) remember not to get your ego involved in this game. Moving down is not a sign of weakness. This is an intelligent decision to increase your edge and therefore give yourself a better chance of simply posting a win in order to help rebuild your confidence. Playing for less money will also protect you from losing your money so fast if you are tilting badly. If you take poker seriously then you must play within your bankroll at all times. Do things the right way from the start and deposit a proper amount for whatever stake you intend to play. As I said at the top, there is a unbelievable amount of free (and paid) poker advice out there on the internet these days. Some of it is good, some of it is bad. 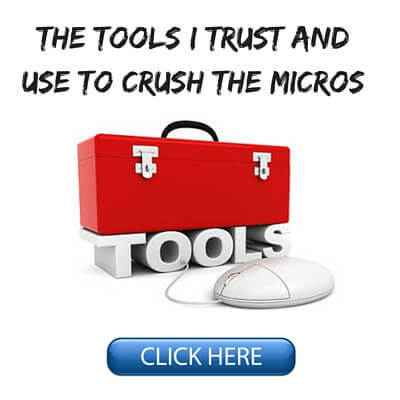 I would really just take one or two select resources that you trust, whether that is a training site, a book, a forum, a twitch channel or a strategy website like this one and learn from that person or set of ideas. 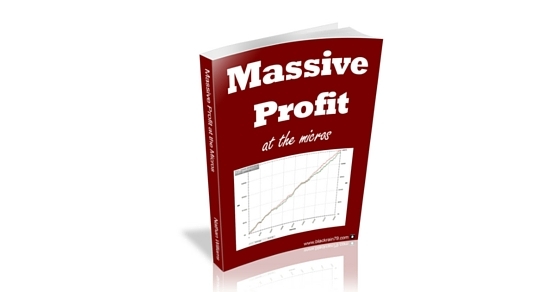 If you don't even know where to begin at all I would suggest picking up a copy of my free ebook Massive Profit at the Micros. 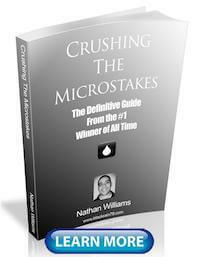 It will give you all of the basic strategy that you need to get started at the lower stakes. Since it is only about 50 pages you can plow through the whole thing in 30 minutes and the price is pretty unbeatable at...free. Now here is what not to do. The worst thing that you can do is start overloading yourself by trying to keep up with every new theory and idea that gets put out there and buying every new book, piece of software, joining every training site, watching Twitch streams all day etc. If you do this I can almost guarantee that you will end up like some of these angry know-it-all nerds that you see all the time on forums whose post count exceeds their lifetime earnings. You don't get paid to study the game. You don't get paid to talk about the game. And you don't get paid to watch the game. None of these are terrible things. It is good to expand your knowledge. And you should definitely take advantage of some of the many resources out there to improve your game. But keep it limited to a few trusted sources. Because the real money comes from taking that knowledge and applying it at the poker tables. 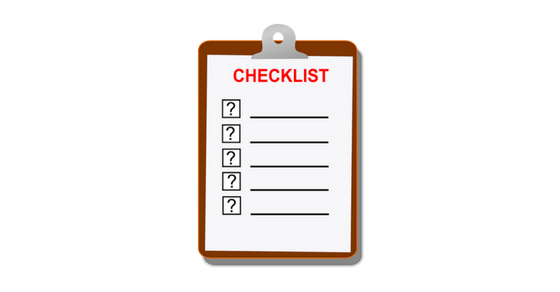 I hope that this "checklist" will be helpful to some newer poker players out there. Because frankly there is just so much information and noise out there these days that it is easy to get overwhelmed and lost in it. We can forget that this is actually a very simple game against very simple opponents. It doesn't take any kind of superhuman ability to smash the small stakes games today if you pay attention to important stuff like table selection, emotional control, bankroll management and apply a simply TAG strategy. I know this because I am around it all the time. 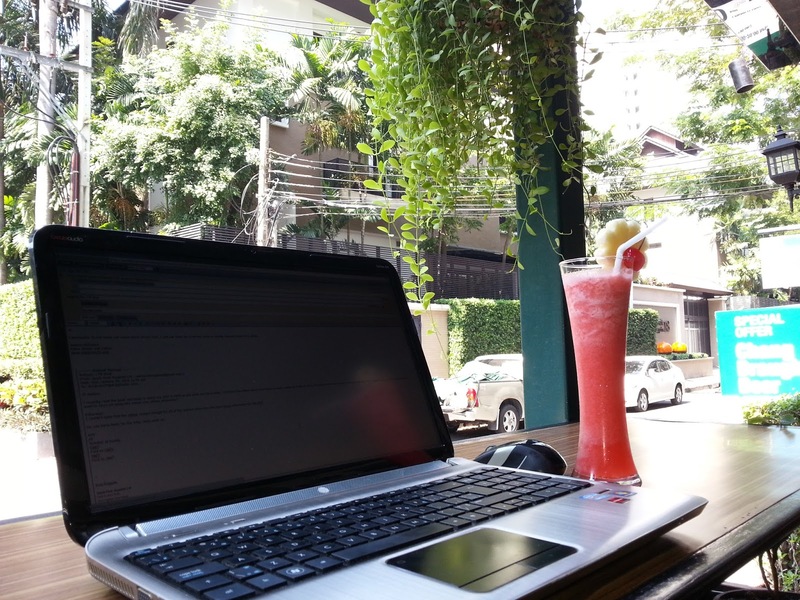 There are huge numbers of online pros living out here in Southeast Asia. I meet them all the time and several are close friends now as well. I have also played this game for a living for many years myself. And these are actual professionals that I am talking about. People whose sole existence is funded by playing a silly little card game on the internet. There are countless more out there who just play poker as a profitable hobby on the side. Look, the bottom line is this. Most people will lose at poker in the end. This is the way that it is and the way that it has to be. But there is always going to be a small but still significant group out there who consistently win at this game also. If you keep things simple and work hard, then there is no reason why this can't be you as well. If you found this article helpful do me a quick favor and "Like" or "Tweet" it below. Let me know your thoughts in the comments below! I want you to let me know specifically what actions steps YOU are going to start taking to change your results at the tables. Down around 16 BI this month after winning 25 and thinking I was god last. This is a timely post for me. Happens to us all :/ Glad this post helped! Can't express my gratitude enough for your articles. Glad they help. Thanks for reading! 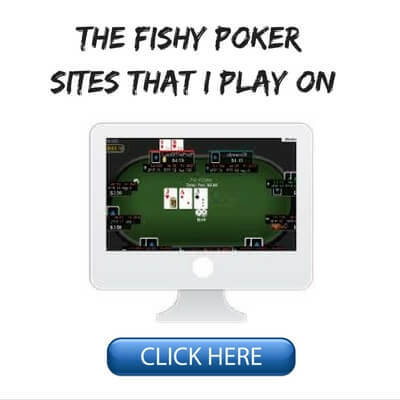 I don't think you can call Titan Poker a fishy site anymore. There are a lot of regs in our days. Thank you Kira, glad the article helped. Can you grind more than 6 tables at once on that laptop? If so, what table management software are you using? Hey Michael, ya for sure, I can play 20 or 30 if stacking the tables. But typically I just play in the 4-10 tables range and tile them. Unless I AM missing something, I can only play 6 tables tiled and still be able to see the card, any more tables than 6 is too small on the screen? So how do you play more? More great advice for those wanting to improve....I've certainly improved (although I don't use a HUD) on a site that prohibits such software. However, I've started playing regularly on an ipoker skin (mainly PLO) so I may invest in some software. Although I only play up to a max 10/20 cent, is there an Omaha pro you could recommend to follow? Thanks again for all the well founded education that you've provided. Thanks Martin! Glad I could help. Sorry but I don't know enough about PLO to recommend anyone. Nathan, great post again. Sums up all the important points in my opinion. I'd like to play live poker and was wondering if you can suggest sth. about the bankroll management for 1/2 , 1/3 or 2/2? Do you still recommend 30-40 Buyins? I'm not quite sure, because I think live poker is softer than online poker but on the other hand you can buy in with more than 100BB. Thank you for the kind words! With regards to live poker BRM, you are right, the games are a lot softer which means you could probably get away with having less buyins. However, my advice is based on a 100bb internet style buyin. So if you regularly buyin deeper live, then you need to take that into consideration as well. I don't recommend cashing out every month if you goal is to move up the stakes. I didn't create that graphic, somebody else did. Hmm ya perhaps I could cover something like that in the future. My advice though is really just to never cash out for the maximum bankroll growth. Unless you are playing professionally, you really shouldn't need the money. And the second time I reach 300 I move up to NL10.